In the world of IT, problems happen. Computers crash, passwords are lost, email stops working, and the list goes on. 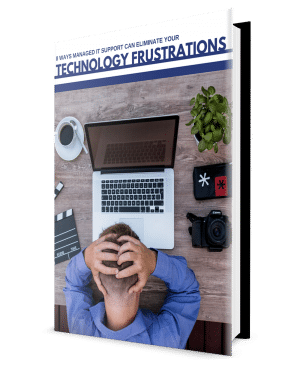 And without proper technical support in place, these problems can bring your business to an abrupt – and potentially damaging – halt. Whether it’s a device, a software issue, or a problem with your network, our Help Desk will stick with you until a solution is found. From the moment your call is answered, you’ll know you’ve got the right person on the line and that you’re our top priority. So go ahead. Put your frustrations on hold… and bring your technical problems to us! We strive to deliver you a best-in-class Help Desk solution that already supports 56,000 users with exceptional satisfaction rates. You can enjoy peace of mind knowing that our certified technicians can quickly and efficiently resolve even your most complex technical problems. For many businesses, IT support is little more than an afterthought – and it’s not until a problem actually prevents people from doing their jobs that anyone realizes proper tech support isn’t in place. 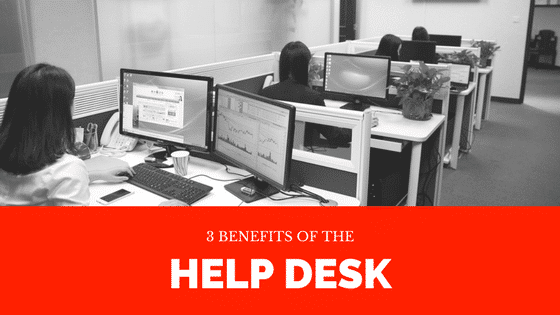 Our Help Desk is designed for one thing only – to provide best-in-class service and support to our clients, so you can enjoy peace of mind knowing that the right help is just a phone call away. The Help Desk technicians can be contacted via phone, email or even web-based chat – so your employees can get the help they need quickly. If you’re ready to reap the benefits of the Help Desk or simply just want to learn more, schedule a quick call with our support team!